i’m filled with shock and saddness as i watch what is happening in japan. but i’m touched by these random acts of kindess that have been going on since the earthquake. 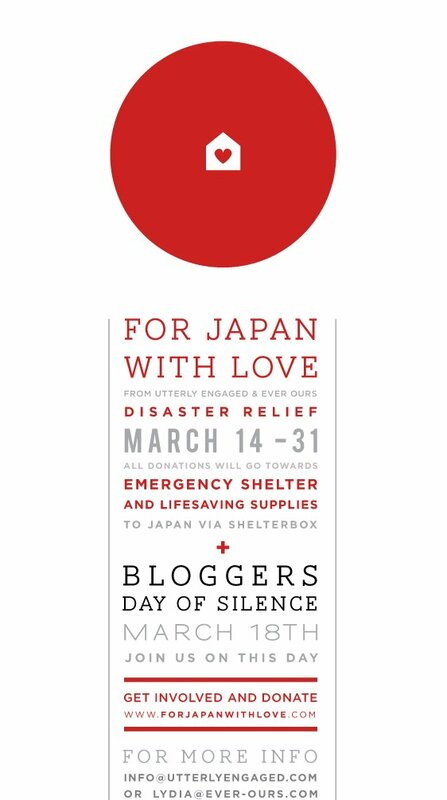 please consider taking part in the bloggers day of silence. < Previous food is one part. love is another. awesome! will definitely have to do this. thanks for the post! I should probably be more silent more often. Nah, the world NEEDS my wisdom.